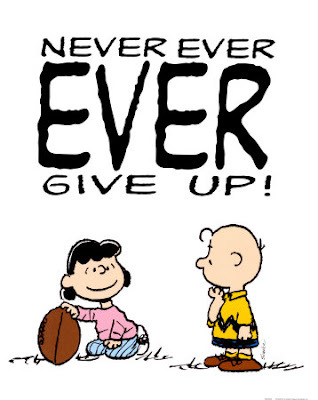 Healthy Loser Gal: On Never Giving Up, Never Quitting When the Goal is In Sight! On Never Giving Up, Never Quitting When the Goal is In Sight! And many a fellow turns about when he might have won had he stuck it out.